The committee will be headed by E Sreedharan, also known as the "Metro Man". Prime Minister Narendra Modi on Sunday approved a proposal to set up a committee to lay down standards for metro rail systems in the country. The committee will be headed by E Sreedharan, also known as the "Metro Man", official sources said in New Delhi. A retired Indian Engineering Service (IES) officer, Sreedharan has served as the managing director of Delhi Metro from 1995 to 2012. Inaugurating Delhi Metro's Mundka-Bahadurgarh section earlier in the day, Modi said his government's priority was to build convenient, comfortable and affordable urban transport systems. He also said that the government wanted to boost 'Make in India' initiative by making metro coaches in the country. "Several nations helped us in the making of Delhi Metro and other metros, and now, we are helping other nations by designing coaches for their metro systems," Modi said. He said that the process of making metro systems was also linked to cooperative federalism. "Wherever metros are being built in India, the Centre and the respective state government are working together," he said. "New India requires new and smart infrastructure. We have worked on roads, railways, highways, airways, waterways, and i-ways. 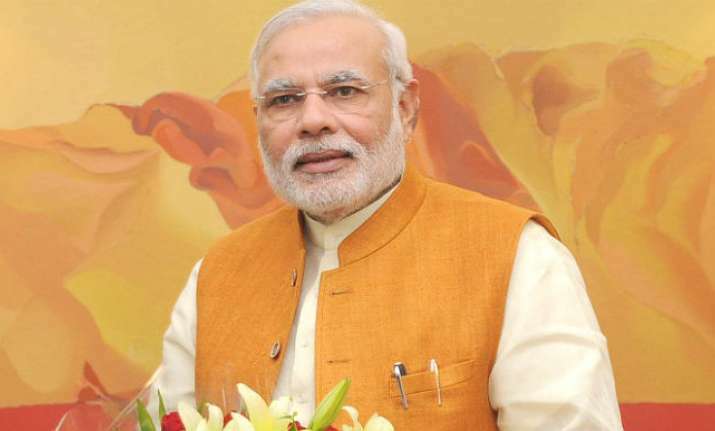 There is an unparalleled focus on connectivity and ensuring development projects are completed on time," the prime minister said.